Farming methods change over time. Tea bushes sometimes used to be planted following the slope of the ground, resulting in vertical lines like those visible on the left of this photo. Today, young bushes are planted in horizontal rows, to reduce soil erosion. 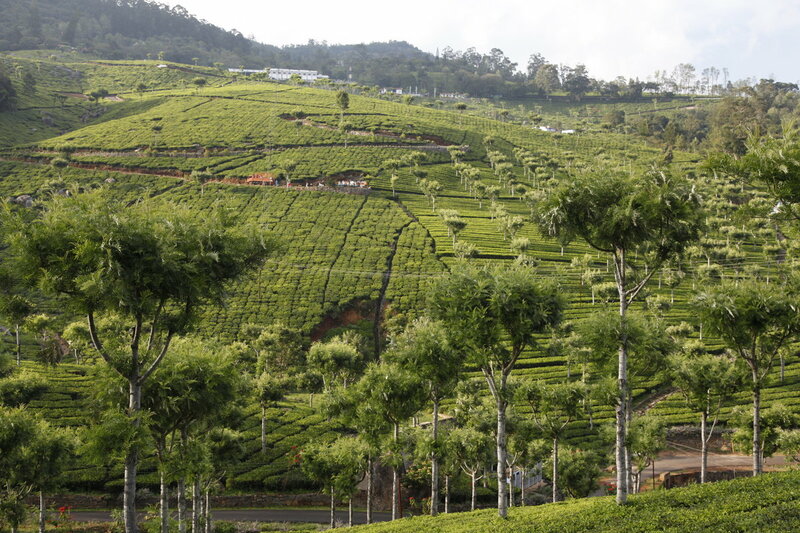 In heavy rain, the water runs off more slowly and the tea bushes hold the soil in place.